It’s been quite a while since isometric platformers were a big deal. Somewhere around the early-to-mid-1990s I’d say, with the likes of Little Big Adventure topping charts everywhere. Exactly why the genre faded into obscurity is hard to say, but that was then, this is now… and Lumo certainly looks like a fun trip back to this long-forgotten genre. As for exactly who you are and why you’re in this strange place connected by several hundred different rooms, most of which contains some kind of puzzle to solve, well, who knows, really? Also, does it truly matter in a game like this, where the emphasis is on brainteasers and progression by overcoming obstacles in rapid succession? Probably, and yet, not so much. You’ll be too busy swinging across gaps, dodging fiery hazards, maybe even work some magic and something something secrets, anyway. With over 400 rooms to explore, some of which seemingly twist the very fabric of the universe, getting through this adventure is going to take a while, aforementioned magic and all. I mean, the trailer below does highlight some rather peculiar architecture, even for a title claiming to harken back to a time when video games weren’t exactly commonly rooted in reality. But maybe that’s a good thing, fitting for the nostalgia trip Lumo aspires to be? 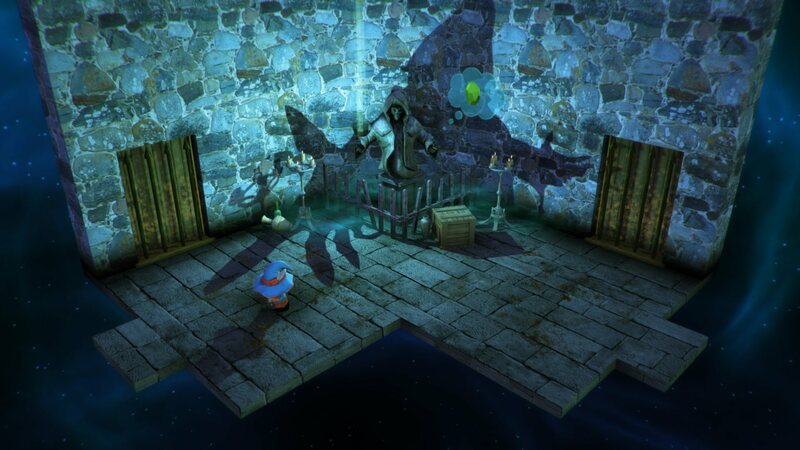 Lumo is available from Steam, carrying a $19.99 price tag.